Let's talk Halloween again! 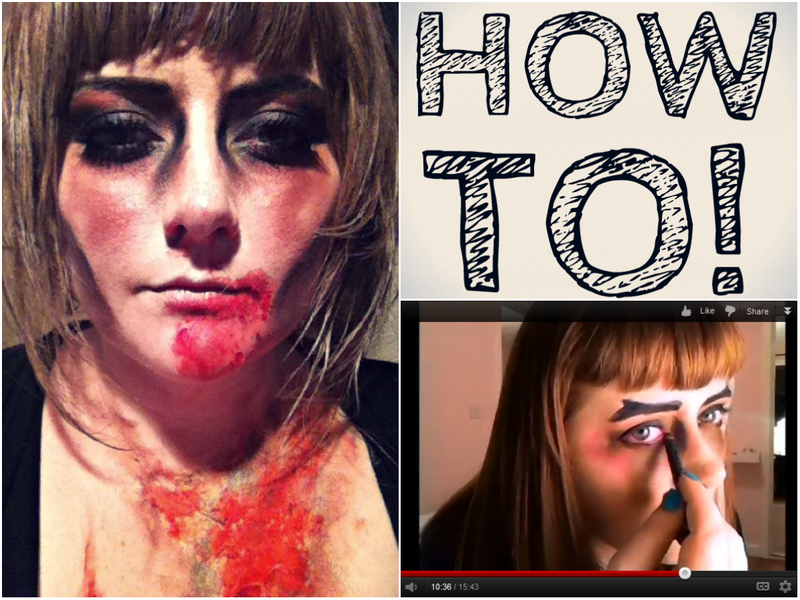 Next up in my halloween how to series is a zombie video tutorial, which uses only everyday make up items and is ridiculously easy. It will take you about twenty minutes & doesn't matter if you don't have a steady hand (cause zombies are messy!). I'm still finding my feet with video blogging, so thank you for watching, I hope that was useful! P.S. It's probably worth pointing out that if you've read my blog for over a year (thank you, you wonders) then this look might be a wee bit familiar... it's because I did a zombie photo tutorial this time last year. But I figured some people like photos, some people like videos, & I like both! (& you can hear my not-very-Scottish accent, hooray). Since I'm new to your blog I enjoyed this tutorial. You're very talented! Realy realy cool, thanks for the idea! !